With new publishing options appearing everyday, the job of the indie writer isn’t just writing the next great novel, it’s getting folks to buy it. And, marketing for indie writers is harder now as the flood of new books becomes a deluge. Today, I’ll share some of my experience as a marketing professor for 20+ years to help you cut through the clutter. 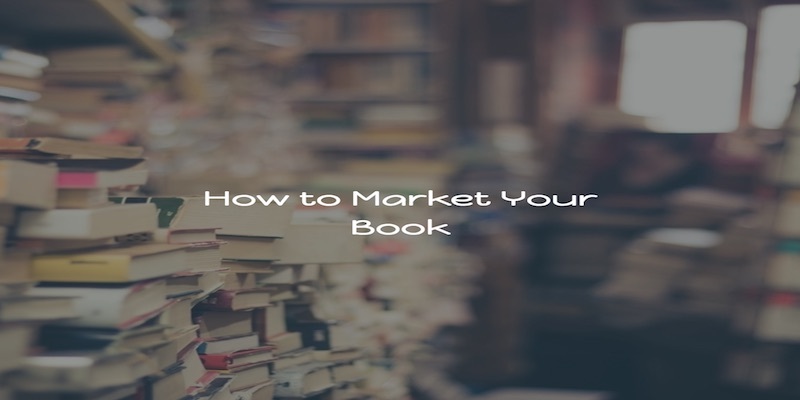 Also, check out my previous post, where I shared some early steps in marketing your book online. In todays discussion, I’ll talk more about traditional marketing tactics to get your book found. The same goes for marketing your book. Today, we’ll focus on the first task and leave the second for the next post. It’s important to talk about segmentation as a first step to marketing for indie writers. And, you need to find people who like to read your genre, be it fiction, nonfiction, romance, mystery, erotica, fantasy, etc. Some folks will read anything — I call these omnireaders, but most folks read within a narrow genre. So, you first have to ferret out folks who read within your genre. Amazon helps with this by allowing authors to designate the genre(s) related to their content. But, there are still thousands of books, with more published every month, within most genres. There are some hidden genres on Amazon, but, if they’re so hidden, does it even make sense to seek them out? Do that many potential readers really seek out those hidden genres? A better strategy is to participate in communities of readers within your genre. Goodreads offers a variety of communities (groups) where readers congregate, often based on reading preferences. You can also find websites hosting these communities. Join these communities and engage readers who are part of them. If you have some money for marketing (which as an indie author you really should), consider advertising to help readers find you. Amazon offers several options for advertising and the costs vary significantly across the options. One of the more economical options is to run a contest to give away copies of your book. How it works – Amazon walks you through the steps to create your contest and you pay retail price for the books you’re giving away, although they don’t count toward your sales rank. You determine the criterion for winning a free copy of the book, such as a random selection of folks who perform a certain action or the first to perform it. You can use the contest to gain Amazon followers or followers for various social media accounts or force contestants to tweet or share a message on social networks. Set the time limit (I suggest at least 30 days) and craft the copy and you’re all set. In a few hours, you’ll get a link from Amazon to your contest and you should share it extensively. The good thing is that Amazon offers your contest to readers, so they help spread the word about your book. As an added bonus, maybe the winners will write a nice review of your book. How it works – Facebook has many advantages as an advertising platform, but, for my money, the biggest is the ability to target readers. I think the ad that works best is one which asks users to buy your book using the link to Amazon. Your quality score determines how much you pay for each click. Maximize your quality score by making your landing page the best it can be. Marketing for indie writers is challenging and, potentially, expensive. One way to reduce costs while still producing good results is to make it easy for readers to find you, rather than the other way around. And, that means building your own communities of readers. Build social networks and engage with users on these networks to keep them interested and excited about your works. A blog is a great way to build your community, as well. Both options not only help bring users to your site where you can sell them books, but many (especially G+) show up in search results — offering a double whammy. Once you find folks interested in reading your book, don’t let them go. Instead, get them to sign up for your email list (never buy mailing lists). That way you keep them excited about your books in between publication dates and you have built-in advocates. I could go on much longer on marketing for indie writers, but I think I’ve given you plenty to get you started. If you’re interested in hearing more about marketing, head on over to the website for my marketing consulting business. I can help put together a marketing strategy or take over some of your digital marketing tasks to build an audience for your books. 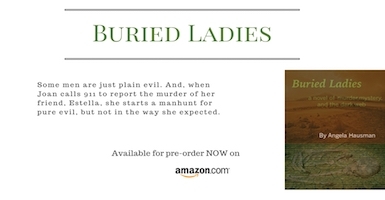 “Buried Ladies” is available on Amazon and I hope you’ll buy a copy or, use the link above and get a free copy. More important, I’d love to hear what you think of it and, if it’s not too much trouble, please post a review.